Maharashtra Post Office Recruitment 2018 News: Get here Maharashtra Postal Circle Recruitment 2018 online as in this portal you will get all new alerts on Maharashtra pos office jobs in 2018 in coming months (only after official announcement..), till you may view previous circulars. Earlier Maharashtra Post Office invites applications for 2426 Postman, Mail Guard and Multi Tasking (MTS) Jobs. Interested and eligible candidates have to apply on or before 18 February 15 (now over..). The broad cast advertisement notification number Rectt/2-8/MTS/DR/2014 is published at maharashtrapost.gov.in. More needed information of Maharashtra Postal Circle Recruitment 2018 regarding eligibility, age limit, experience, salary, application fees, selection process and how to apply etc is mentioned below………. The candidates will be selected on the basisi of merit position in aptitude test. 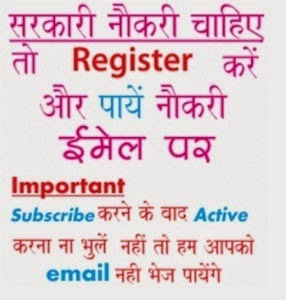 The interested job seekers have to apply online by making log in to official site maharashtrapost.gov.in…………..